From whittling to EDC, there’s a knife suited to every need. 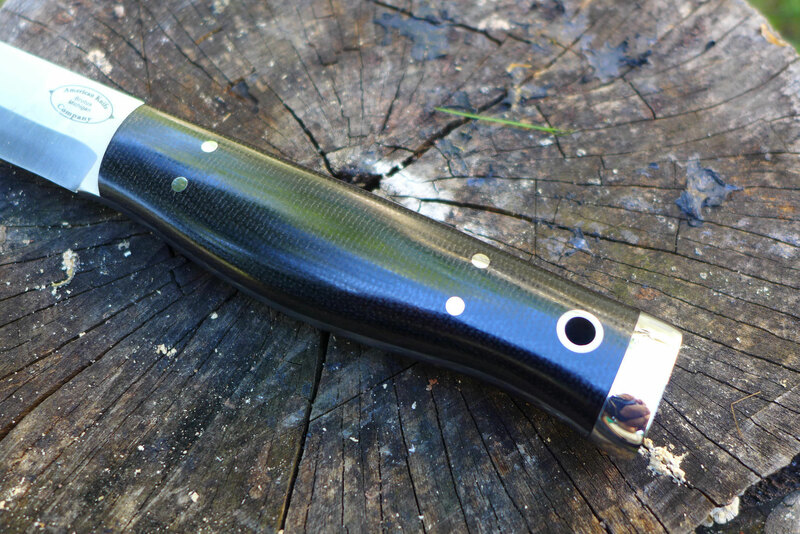 But for pure bushcraft and survival, our contributor has a single favorite blade. I am not what anyone would call a bushcrafter. But I like knives. I learn and hone knife skills. And I like being outdoors. So despite not being a buschcrafting purist (for the love of God I carry a multi-tool, un-bushcrafty as it gets), I still have a good idea what kind of knife works well for the task. Strength, sharpness, size, and feel all combine for the perfect bushcraft blade. I’ve found one that brings together the best for pure wilderness survival. He added that the blade should be “so thin that it’s quite flexible,” and that the knife be full-tang and capable of standing up to a lot of abuse. For me, that points to a single knife: the American Knife Company Forest. There is a smaller and larger version—and a longer, heavier Forest II—but for me the original is the one. And though it is out of production, you can still find the Forest at various online retailers. See below for details. This knife does so much, so well, that it is hard to find fault. The G10 handle has a neutral shape that combines with a continuous curve blade to give you an immense amount of capability. It can whittle and slice with its super-keen edge. Unlike lesser knives, it can split wood thanks to a serious 3/16″ blade stock of awesome A2 steel. 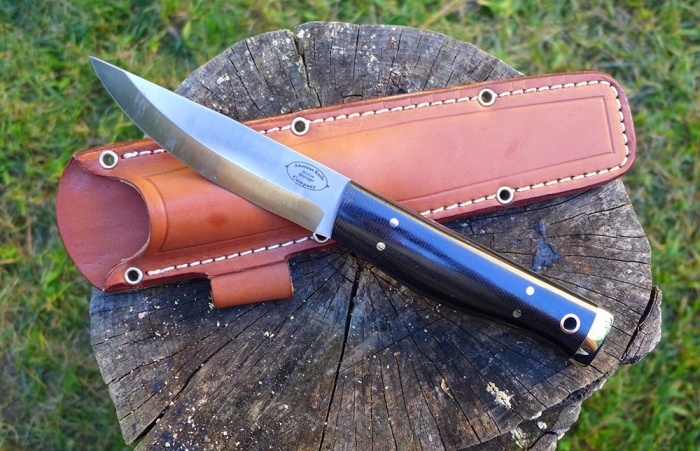 The Forest runs a convex grind on the main bevel, making it heartier than the perennial pick of a Mora Knife. It is “bitey” in wood because of a zero edge; there is no cutting grind, as the main grind just tapers to the edge. The blade is about an eyelash over 4 inches. And the knife weighs just over 6.5 ounces. The updated Forest 2 is a solid 5 inches and weighs an ounce more. 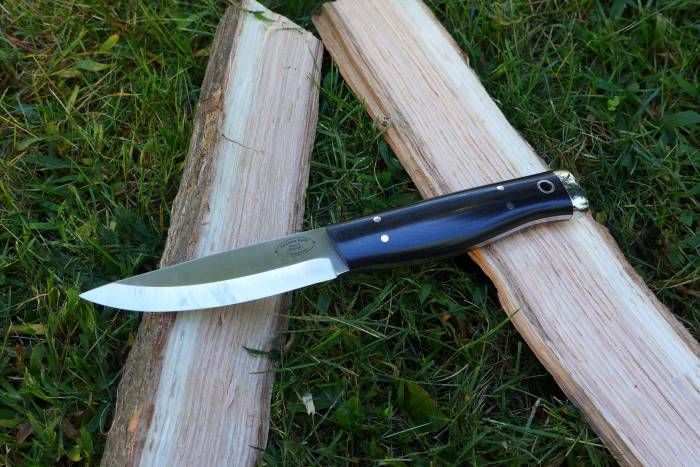 As the name suggests, the American Knife Co.’s Forest is 100 percent made-in-USA. Sadly, this particular knife is out of production. But you can find it on a variety of sites for closeout prices, including Amazon, DLT Trading Post and Knives Ship Free (compact model). There are other knives out there, like the Skookum Bushtool, that conform to Kochanski’s dogma. But they are generally more expensive and offer a different feel. But for the price, weight, balance, and build, I choose the Forest.